have an idea on something else we might like? Some online bookseller’s sites offer a list of “related titles” or “If you liked …” when you have searched a book. That is a resource, too. 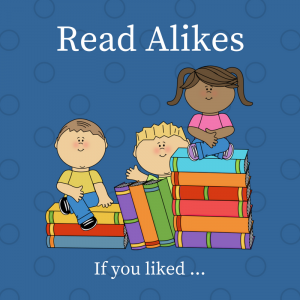 Search the title of the book you’ve read and liked, and see what recommendations pop up. 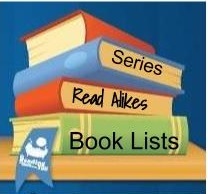 Most read-alike lists are geared toward independent readers, though you can occasionally find a list for easy readers. If you are looking for read-alikes that aren’t listed here, scroll down to the bottom of this page for resources that may be able to help you. We also love the “If You Like” page on the Hennepin County Public Library site. You find the read-alike by picking the genre first. See also Book Lists by Audience Age and Book Lists by Theme.